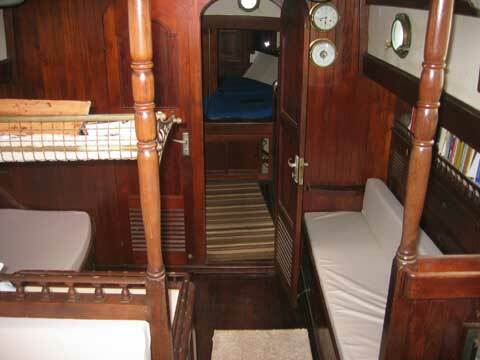 The Orion was refurbished inside and out over 2007-2008. 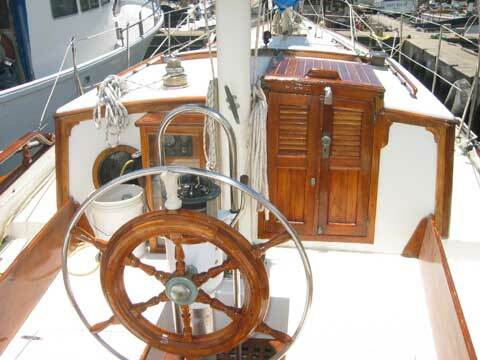 In November 2007 we pulled the masts and repainted and refitted all hardware. 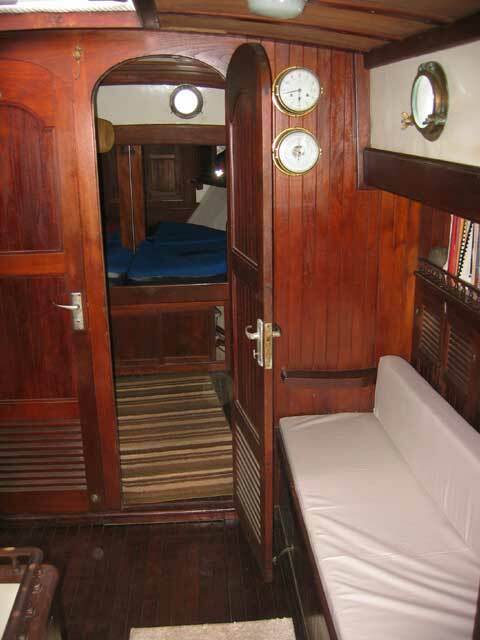 Plus many extras (tools, spare parts etc) including a 10 ft. Avon inflatable with a 2006 5 hp Honda outboard four stroke engine. 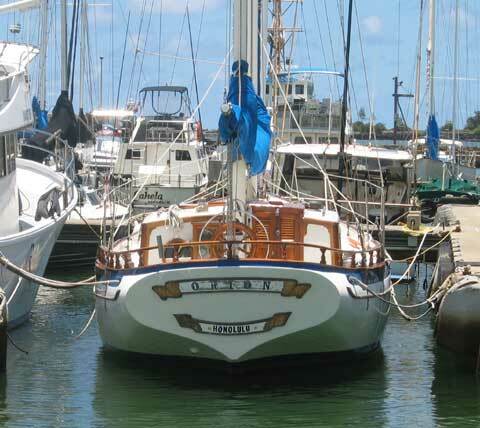 She's truly designed for stable blue water cruising. 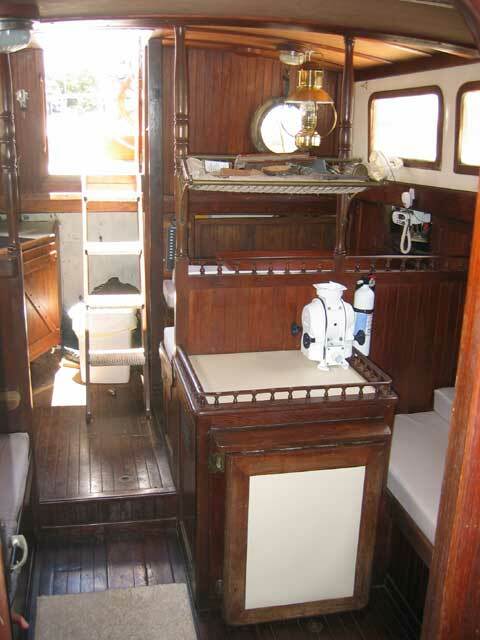 Beautiful traditional ketch rig with wineglass transom. 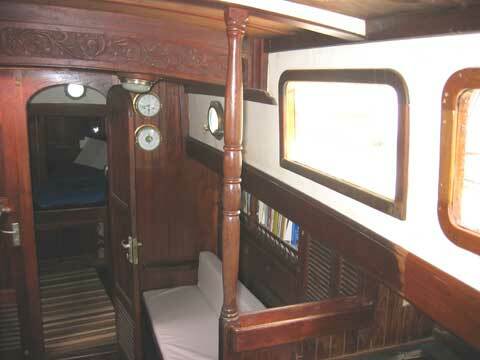 The full interior teak cabin has lots of exquisite hand carvings. Private head with hot shower is roomy. 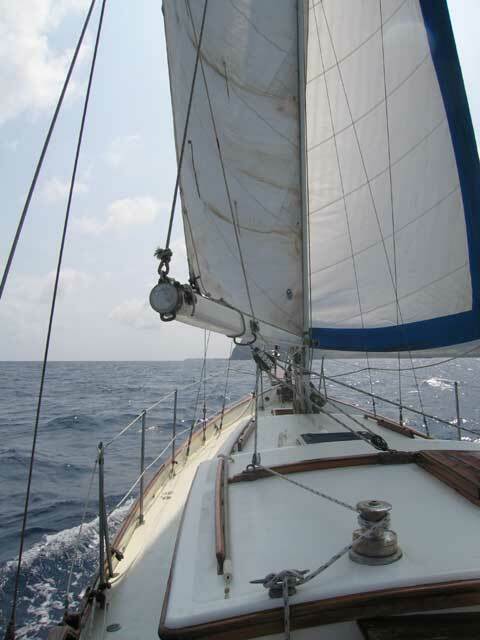 Jib roller furling makes her easy to handle. 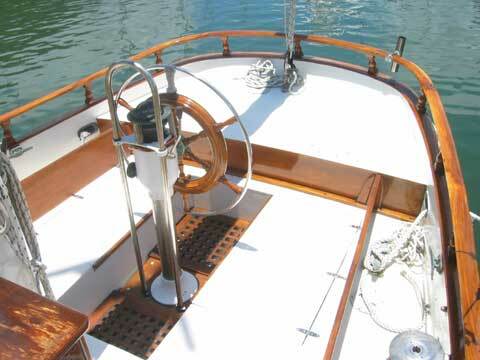 Comes with two over-sized anchors for secure anchoring. 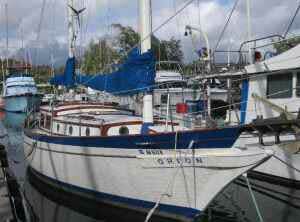 She's powered by a generous diesel 75 hp volvo penta MD 21A. 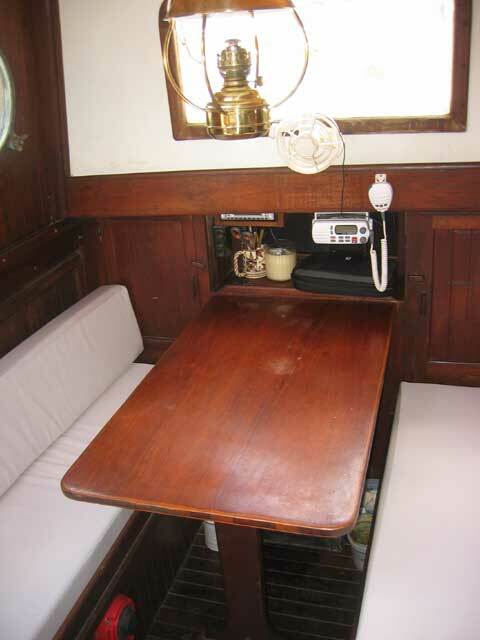 We are even painting the bilge as we speak!